The Latest in Celebrity News, Red Carpet Moments, Viral Videos and Breaking Celeb Rumors! 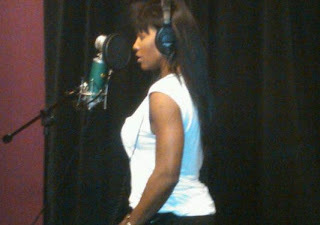 : SERENA WILLIAMS A RAPPER? Serena Williams was recently spotted in the studio laying down a few tracks and word on the curb is her flow is really good. Tennis superstar Serena Williams doubles as a fashion designer, spokeswoman, and part owner of the Miami Dolphins — but now TMZ has learned she’s adding RAPPER to her resumé. We’re told Serena hit the studio last week to lay down a few tracks … and is working with a record label owned by Minnesota Vikings star Bryant McKinnie. During the session, we’re told Serena did some work with renowned hip-hip producer DJ Clue … and she wasn’t half-bad.